Happy Monday! Do you like Mondays or do you hate Mondays? Personally, I kind of like Mondays. I love getting back into a routine after the chaos of the weekend and it's also nice to send the kids off to school so I can get a few things accomplished. This Monday is a particularly nice Monday. I spent part of last week at the Snap Conference in Salt Lake City Utah. I LOVE this conference and on this Monday I feel like my batteries have been recharged, I have clear goals in mind, and a specific to-do list to help me accomplish my goals. I'll have more details about this conference in an upcoming blog post. I'm so excited to share with you a few things I learned at the conference. While I was at the conference I found a new amazing place to shop for crafting supplies and get the best deals! I met the owners of Blitsy at the conference and I love these girls! I'm a huge fan of supporting small businesses with fantastic people behind the scenes. Blitsy is that company. I can't wait to get my first order from them! 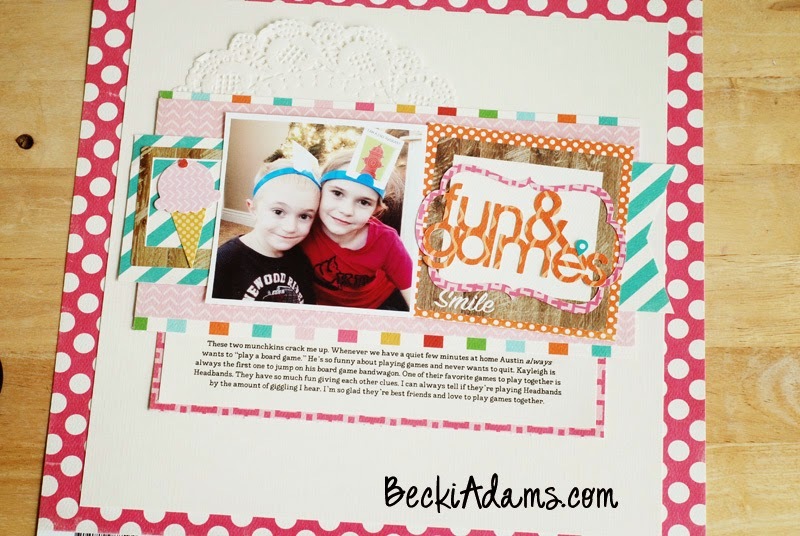 Today, I have a fun project to share with you using the Carta Bella Soak Up the Sun collection. For this design I decided to keep the focus of my layout going from the left side of the layout straight across to the right side of the paper. Keeping my title, embellishments, and journaling in the center of the page. 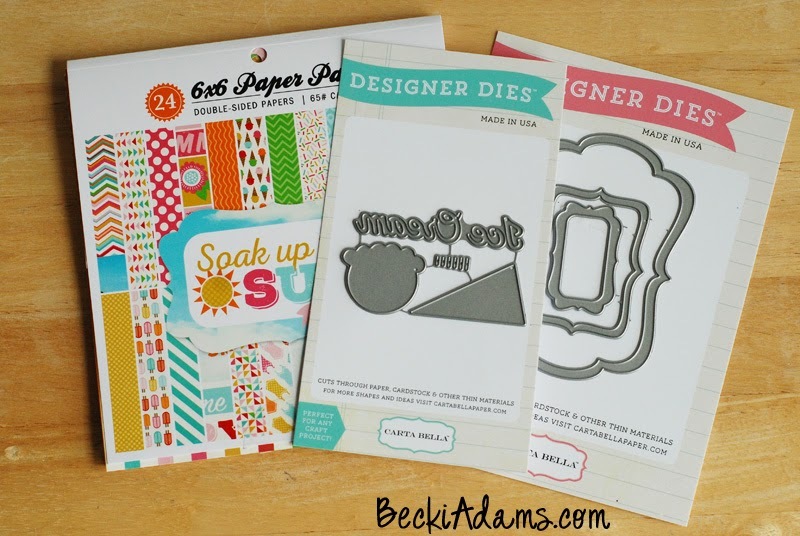 I started by gathering a few bits and pieces of patterned paper. 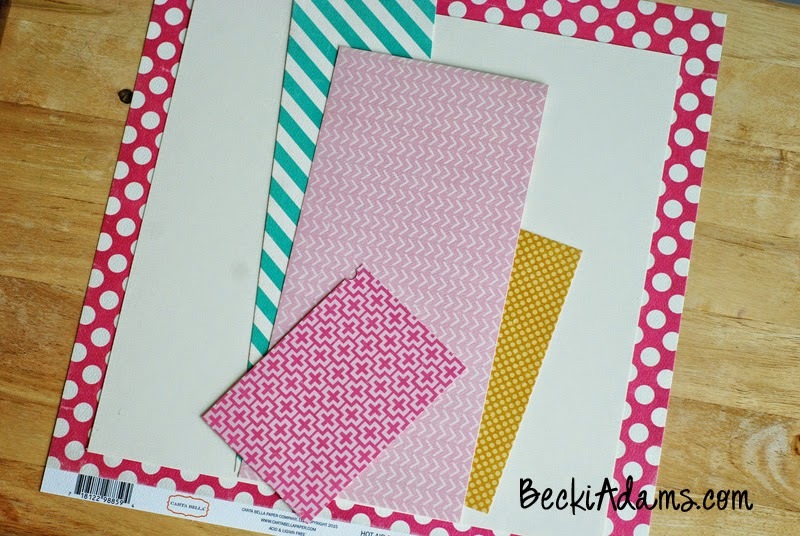 Then I started creating the mat of patterned paper that would hold my title, photo, and a few embellishments. 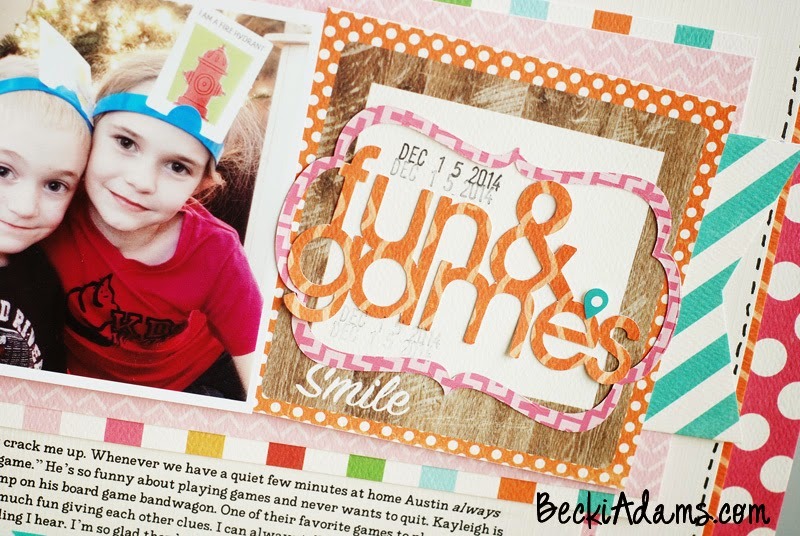 I cut the title of this layout using my Silhouette Cameo . 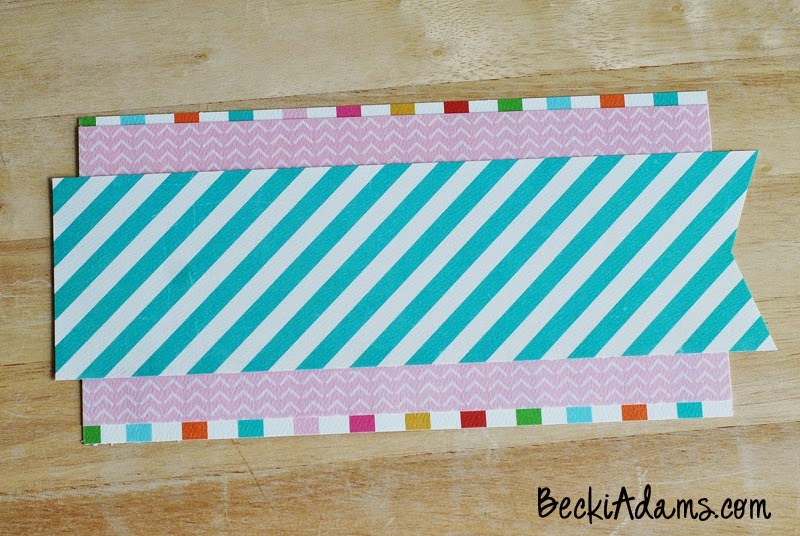 I added my title to the center of a frame sticker and adhered it to the mat of patterned paper. 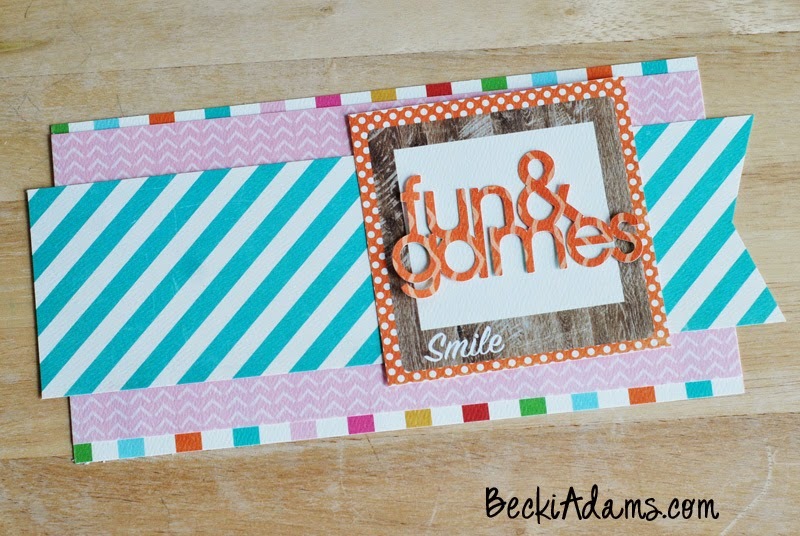 I used a few die cuts from the Soak Up the Sun collection and added them to the strip of patterned paper that mats the photo and title. 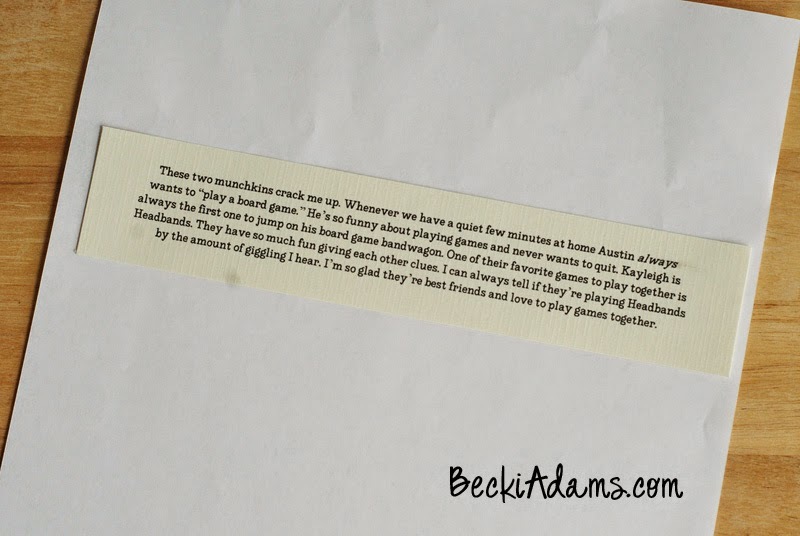 I printed my journaling on a strip of coordinating cardstock. I matted the journaling on a strip of patterned paper so it wouldn't get lost in the background and my layout was almost complete. I added a few embellishments, a paper doily, and some washi tape to finish the layout. Thanks for stopping by today! Hop on over to the Blitsy store and get shopping. 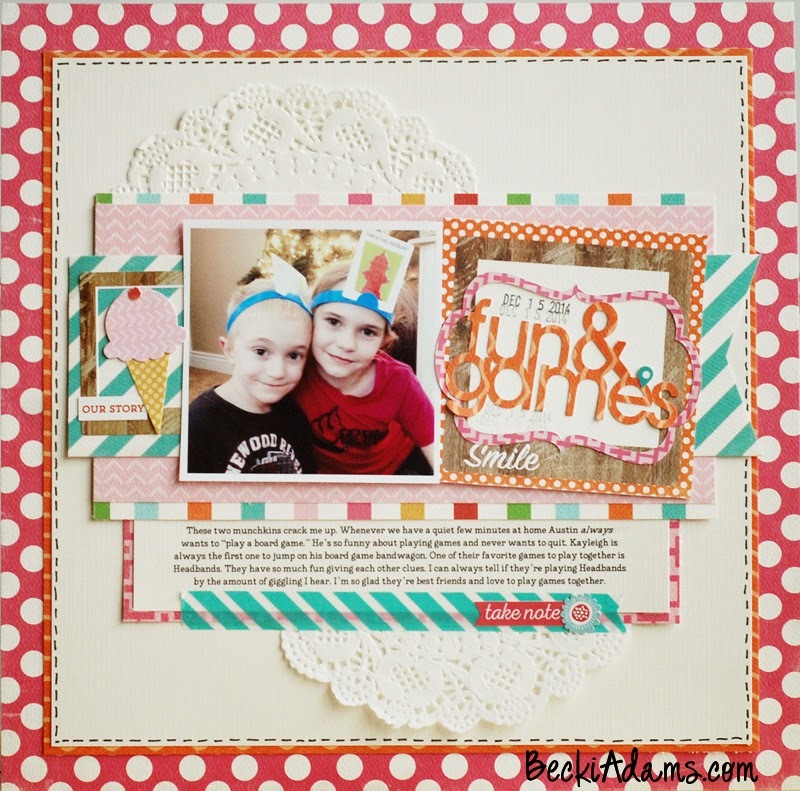 Adorable layout! 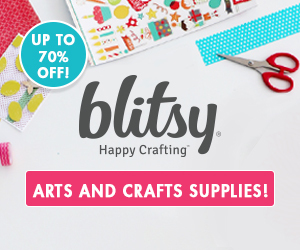 I love Blitsy, I've been a customer for a long time, turned a lot of my crafty friends on to them. YAY for Blitsy customers!!! I'm so excited that you're a long time customer! Thanks Jenny Jo! 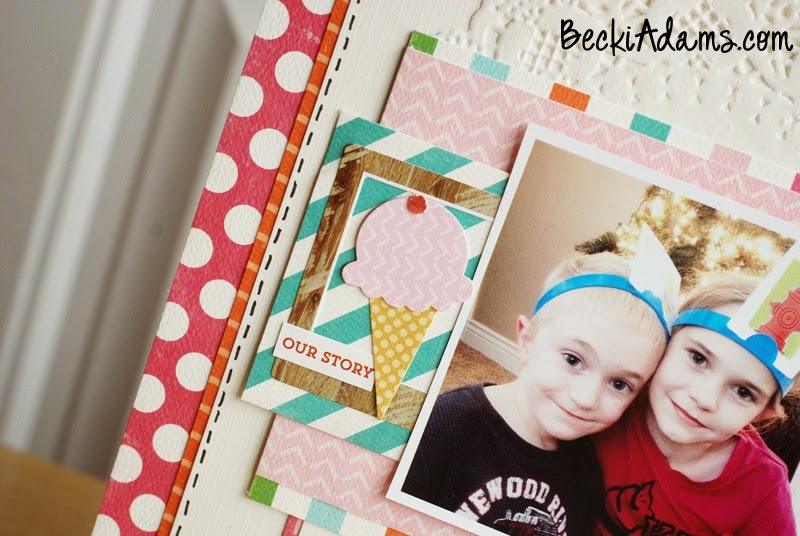 Wonderful layout celebrating playtime with your kiddos - so sweet and so cool!!! Love Blitsy too - I have gotten some great deals through them!! Thanks fro sharing this post!! One of these days I am going to be at SNAP too!! !